You can get 18,4 points when purchasing. The Lite Short is made of an ultra sheer material that feels like a second skin! These shorts have invisible styling, because of the sheer material and finish. 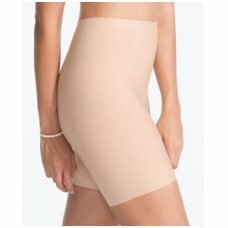 The MAGIC Bodyfashion Lite Short is used to shape the lower stomach area, and upper legs. A silicone trim inside the leg opening prevents these shorts from rolling up.